We are looking to get a TI division in this race. We need 3 boats total and currently have 2 committed. Post up if you can commit. Race weekend is 13-14 October. I am intrigued as to the format of your proposed Island class. Under international sailing rules (http://www.sailing.org/tools/documents/ ... 172020new-.pdf) - rule 42 Propulsion limits progress to sails only. It would therefore seem that you would need to either lock Miragedrives, or remove them for the race. If the rule is disregarded, I have always thought that racing Islands while allowing use of the drives would potentially hand victory to the best cyclist! Yet banning the very advantages of the Miragedrive seems to negate the whole concept of the Island's versatility. I've got an AI. Would be interested. Any AIs racing. Can I race the TIs? There is one AI that I know of racing. Join us. Our class will be for fun. Think of it as a 20-mile adventure-style race. I sail with my drives and my paddle and I will race the same way or however the group agrees. I think we all would prefer having the propulsion options available since that was one of the benefits of such a boat. Deadline to sign up and not pay the late is this evening. We have 3 Islands so far. I just got back in town today (Saturday) and missed day one. Is there a possibility of joining in tommorow off the official roster? Missed registration. 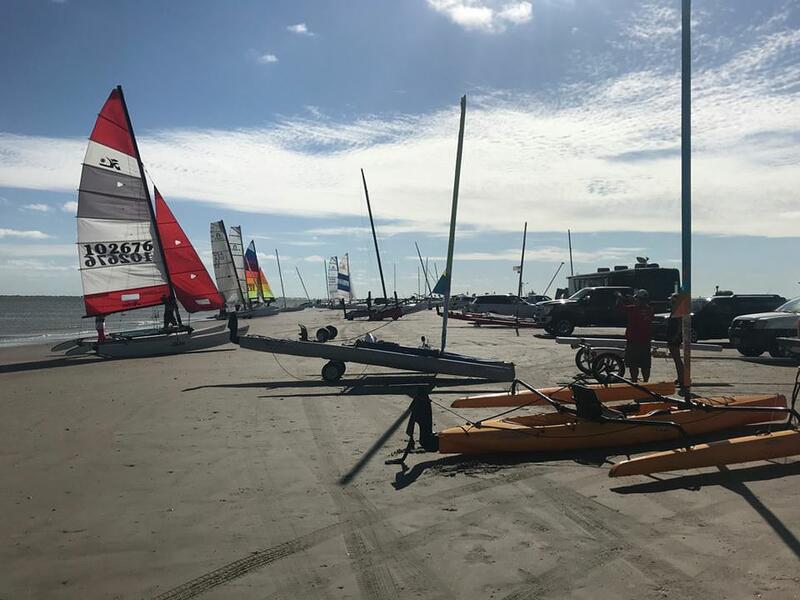 The organizers were not interested in the slower boats participating in the Sunday short races (Hobie Islands creating an obstacle course for Nacras and other fast beach cats). We were more interested in the long race anyway. 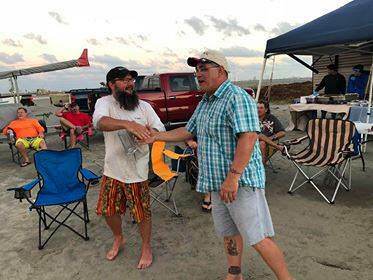 Redfish Reach (Texas City Dike to Redfish Island) in the bag. Congrats Daniel Soderstrom for 1st place. Due to the conditions, 2 of the other participants reached on into Clear Lake Shores, TX to avoid the 11 mile upwind ride in nearly 20 knot winds. We need to organize some more local group sails. I think we all had great sails that day. Congrats Kainoa! There were three of us waiting at Redfish island on Sunday in hopes we might meet up with you guys and race a distance with you. We knew you might not show since they listed short races only Sunday. We have been talking about setting up an Islander race for some time. We might be able to add another 5 boats or more if you ever want to do it again. Sounds good. I'm new to posting on this forum but now have it setup where I immediately see posts on topics I publish. Sorry I didn't let you know about the short races earlier. Hopefully y'all got some sailing in anyway.